The bridal lehenga is always the first thing we look at in every wedding album. 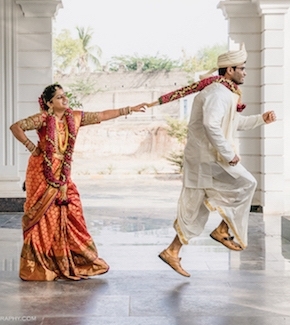 After all, each one of those bridal lehenga designs is unique in their own way. Every girl dreams of her bridal lehenga design from a fairly young age. So, all the brides-to-be and every other girl who would love to take a look at some wonderful creations, this is for you! 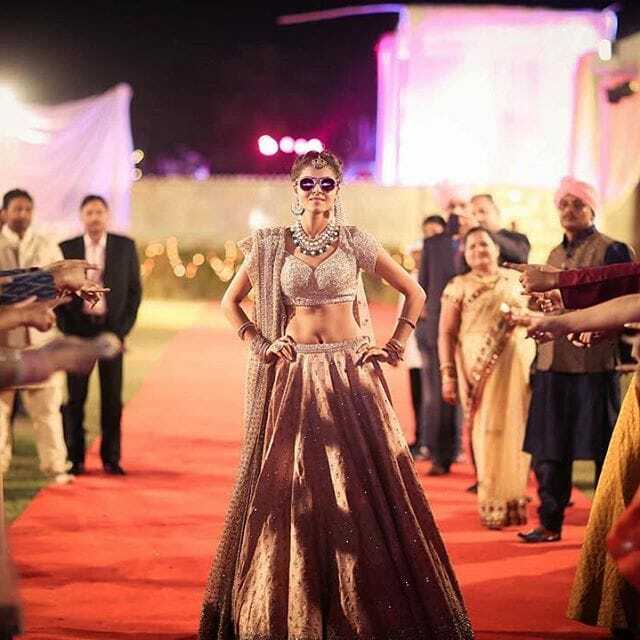 Here are some stunning bridal lehenga designs that should be on every bride’s list. 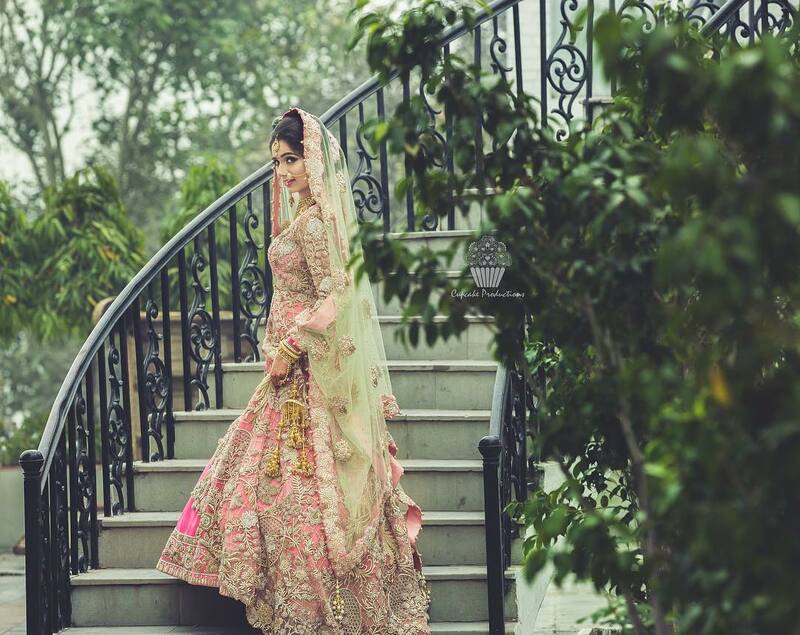 Take inspiration from this beautiful Sabyasachi Lehenga. 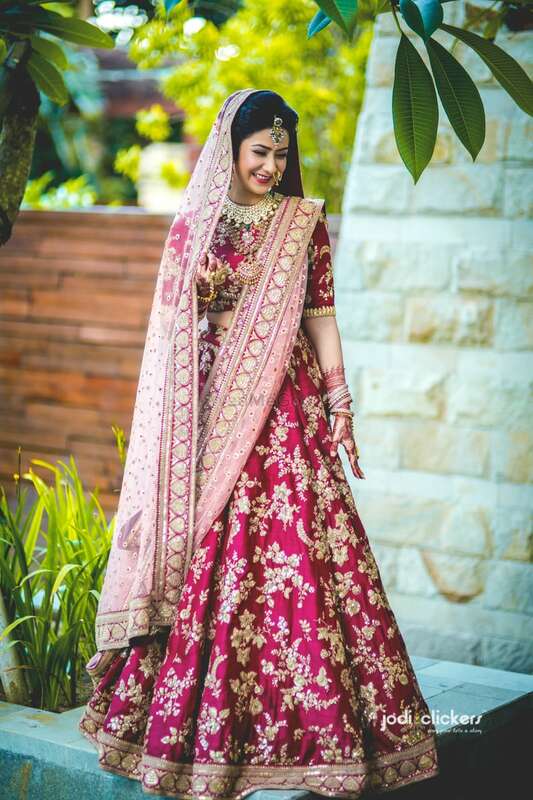 This looks like a perfect bridal lehenga for just anyone. And of course, not to miss the awesome golden work that makes it look so elegant and royal. If you want something different then, this is the one to go for. This gorgeous bridal lehenga design has heavy golden embroidery on it with a light pink dupatta which makes it, even more, *pretty*! A floral lehenga on your wedding day is only for the bold and daring. 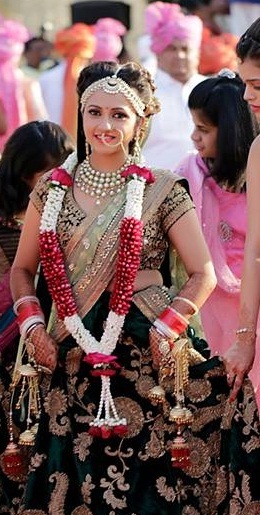 Just like this bride who wore an off white lehenga with floral pattern all over it. You can choose this kind of bridal lehenga if you want something out of the box and trendy. 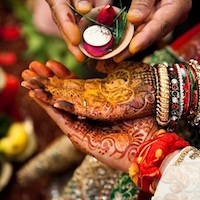 It is paired with a beautiful pink dupatta making it very different from others. 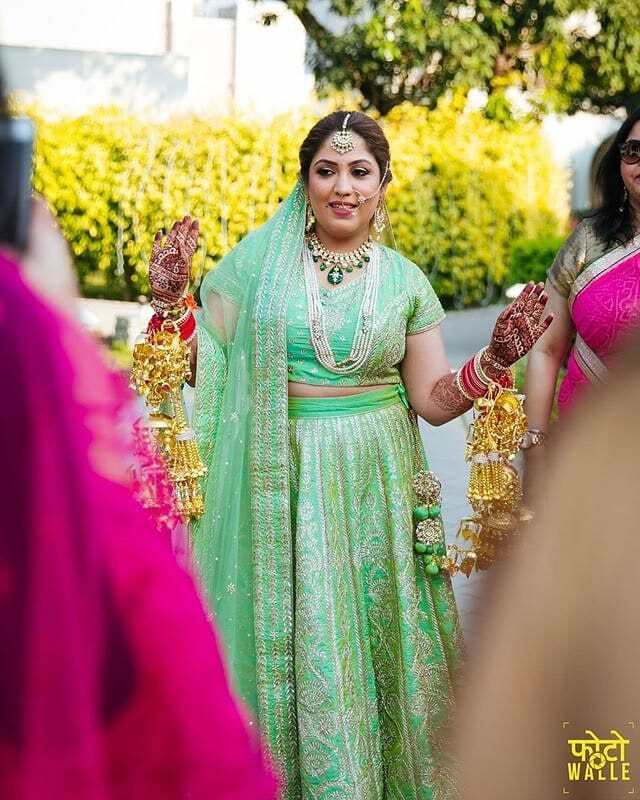 Mint Green looks great during the day, and if you’re ready to be very different, then don’t shy away from this colour.This bridal lehenga has very beautiful golden embroidery all over it which gives it a very fresh look. 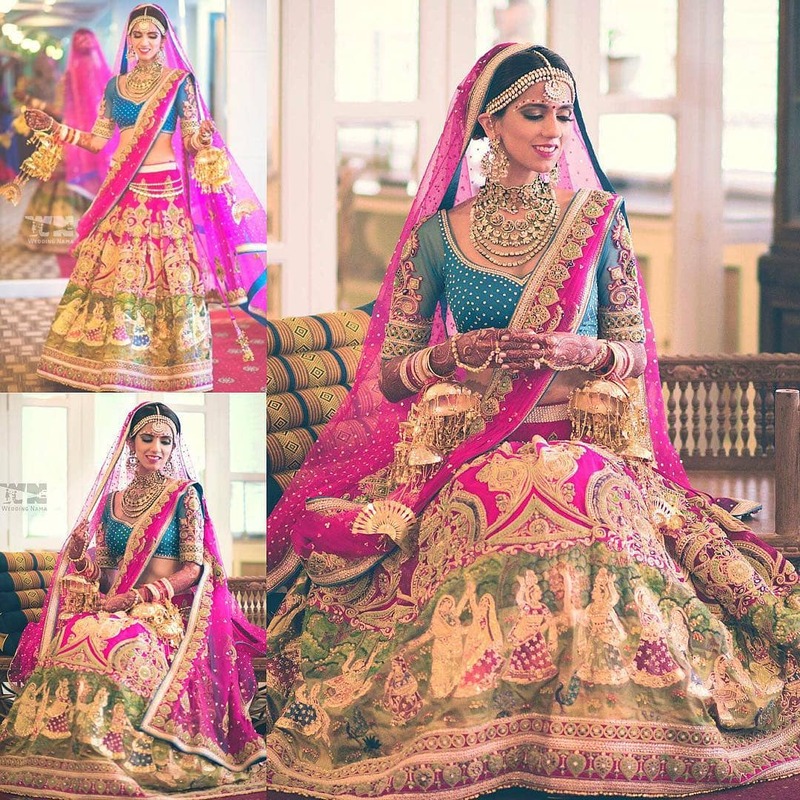 Bridal lehenga designs that are a mix of all colours bright and vibrant is definitely the new *trend* this year. Designer Nishka Lulla Mehra has beautifully mixed neon pink and blue with hints of green and gold. So, this is something very new and refreshing. Now, green bridal lehenga designs might not seem a good idea at first but this is sure to go for especially in a winter wedding. Take inspiration from this bridal lehenga design right here, which has such heavy and beautiful embroidery all over it. 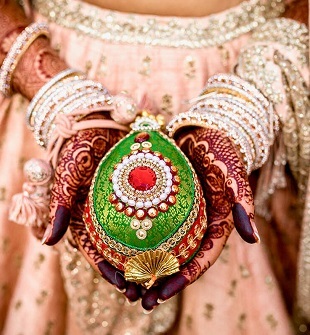 This lehenga has an amazing pattern and the colour is just so warm. Blue makes everything so cool and refreshing. 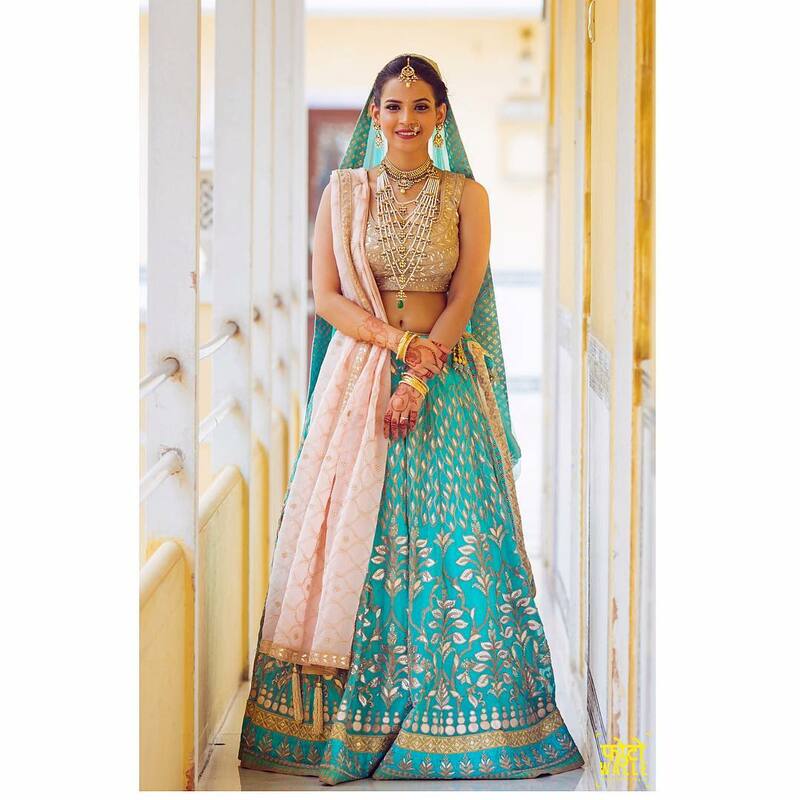 Dressed in a blue Anita Dongre lehenga, the bride looks nothing short of a stunner. The delicate Gota-Patti work paired with a beautiful beige blouse will absolutely make any bride stand out. 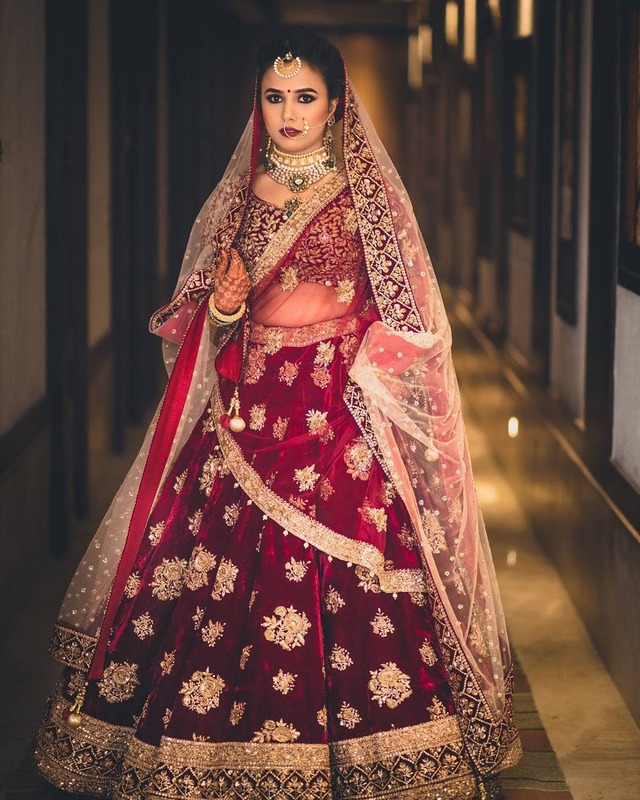 This kind of bridal lehenga can catch anyone’s attention at the first sight.This is a beautiful blush pink lehenga with scattered booti work.While the blouse features lots of sequins, the skirt and dupatta are kept quite light to balance it out. This gorgeous mixture of velvet and wine is a perfect bridal lehenga. It looks so elegant and stylish at the same time. It is a beautiful mixture of traditional and trendy designs. 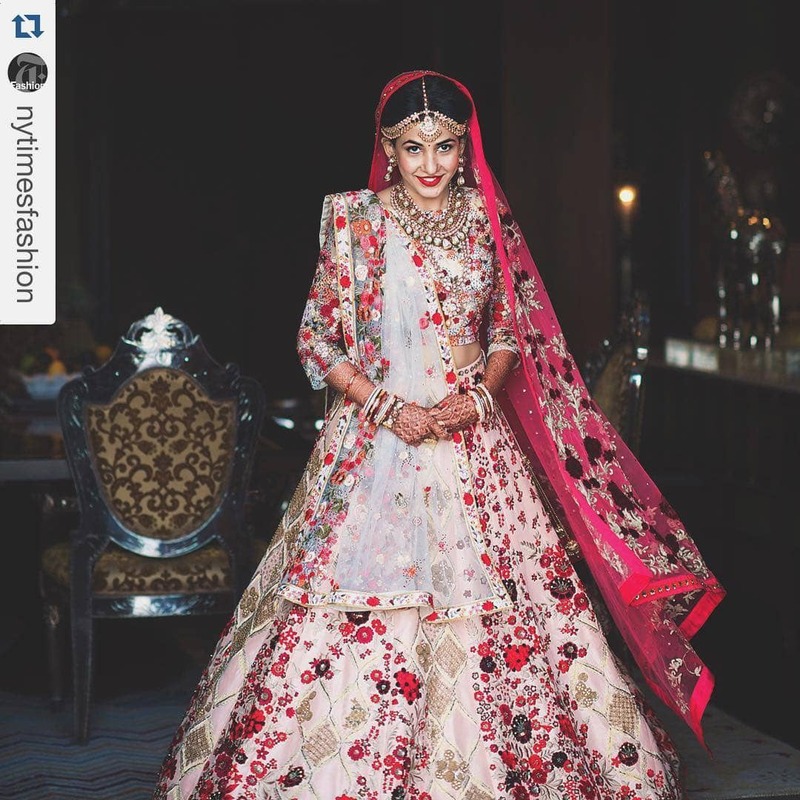 An elaborate border and a second net dupatta in an off-white shade give this lehenga more royal look. This light pink outfit is paired with a pastel green dupatta heavy gold embroidery. Now that is one stunning look! This combination will instantly attract anybody’s attention.